use our wizard to generate a customised notice. You should display it prominently with your content (as well as the copyright symbol), as a signal to would-be thieves that you value your content, have taken steps to protect it, and will be able to prove your ownership of it. To establish your copyright of your own blog posts, download our "Copyright Proof" Wordpress Plug-in. It runs in the background, giving you automatic Digiproving of any blog posts you publish, and (if you want it) a link back to your blog website. It is free for personal use. There is an API (Application Program Interface) for Digiprove, enabling developers to easily integrate Digiprove content certification services into their applications. Find out more. 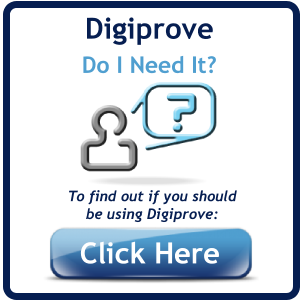 Click here for instructions on how to validate a previously Digiproved content file against its certificate without an internet connection and to download the Digiprove Validator program. Note: Requires a Windows operating system. Click here to download a desktop program (for Windows) to calculate the Digital Fingerprint of a file on your computer. This uses the "SHA256" algorithm and will work on any file. This program can be used in conjunction with manual input of digital fingerprint when Digiproving a file. 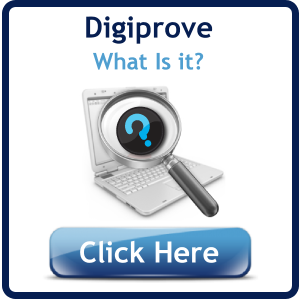 Read how Digiprove's tamper-proof audit trail is constructed and verified. This page also contains links for online inspection and verification of the audit trail. Autoprotect is an application that will allow to to "Set and Forget" the folders and sub-folders on your machine or network to be Digiproved. The rest is automatic! Find out more about Autoprotect or take it for a test drive.